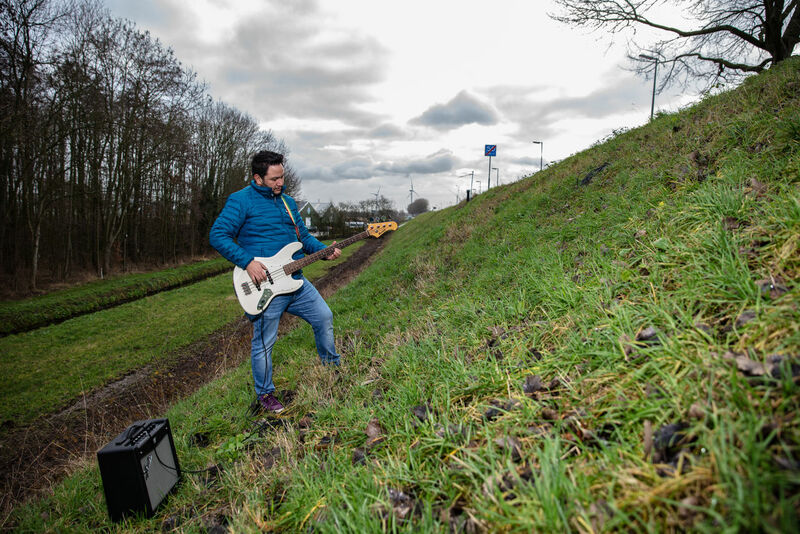 Aguilar worked as a dam engineer in his home country Colombia before coming to the Netherlands. After doing both a PhD and his current post-doc research on dikes, he has become a true dike expert. 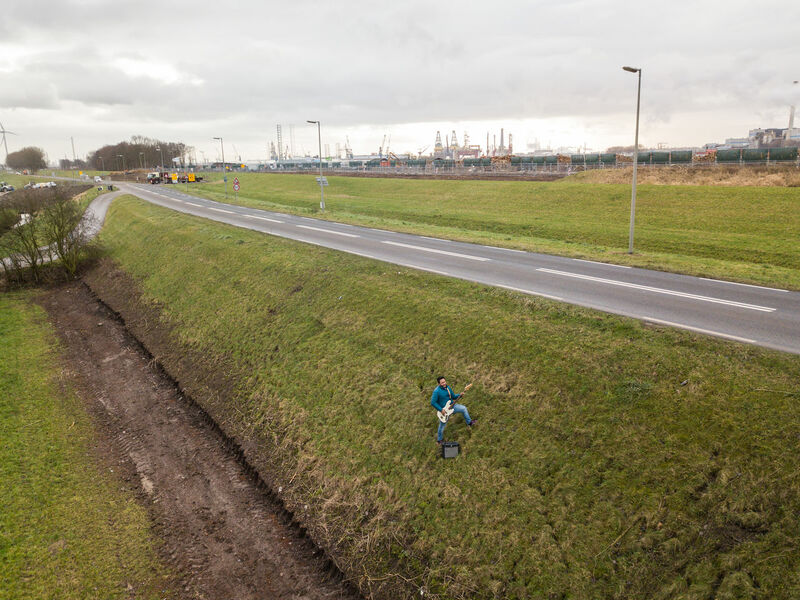 “Nowhere in the world the dikes are so robust and carefully designed as in the Netherlands.” Still, the almost 18.000 kilometres of dike that protect the Netherlands against the rising water levels need to be monitored closely. Weaknesses should be spotted and dealt with swiftly. An answer for this could be Aguilar’s research into the use of fiber optic sensors to measure dike stability. A fiber optics-based sensor can measure the water pressure and detect breaches in a dike. Crucial information in the prevention of floods. Aguilar explains how this works: “Fiber optics is all about light. You have a cable, light shoots through it, it gets reflected and then a machine processes this information. The cable is very sensitive to changes in temperature and strain. The idea is to exploit these features.” The main focus of Aguilar’s research group is to develop innovative fiber optic based monitoring techniques to determine the water pressure inside a dike. So, to measure this based on the strain on the fiber optic cable. Aguilar’s post-doc research is part of project DOMINO. 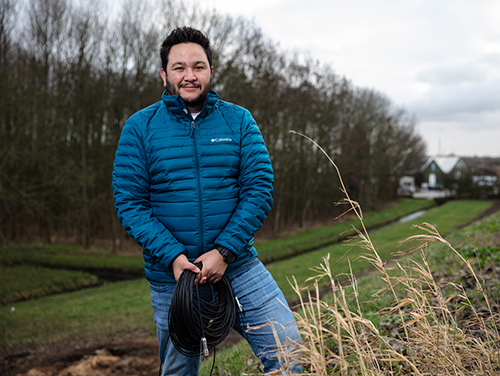 A project, funded by the European Commission, which aims to develop new ways to use fiber optic sensors in the monitoring of dikes and debris flows in mountainous regions. This international research group is a collaboration between TU Delft, the University of Alcalá in Spain, the University of Padua and the Research Institute for Geo-Hydrological Protection (CNR-IRPI) in Italy. 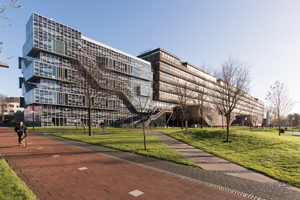 The TU Delft team is led by hydrologist Thom Bogaard of the department of Civil Engineering and Geosciences.